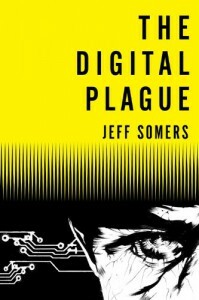 The Digital Plague was very good – I’m still in love with Avery Cates but getting frustrated that no one he’s attracted to ever manages to live (or at least stay human) to the end of a book. I mean if anyone ever deserved some romance it’s Mr. Cates, but alas Somers seems determined to work the universe against him. Every new thing that went horribly wrong I kept thinking of that line from The Little Rascals where Alfalfa loses all hope and goes: “And the sky opened up and God said, ‘I hate you Alfalfa.’” So despite the mind-boggling number of fatalities, the book is funny in a totally twisted sort of way.